Scientists in the USC Stem Cell laboratory of Gage Crump have revealed how key genes guide the development of the jaw in zebrafish. These findings may offer clues for understanding craniofacial anomalies in human patients, who sometimes carry a mutation in equivalent genes. 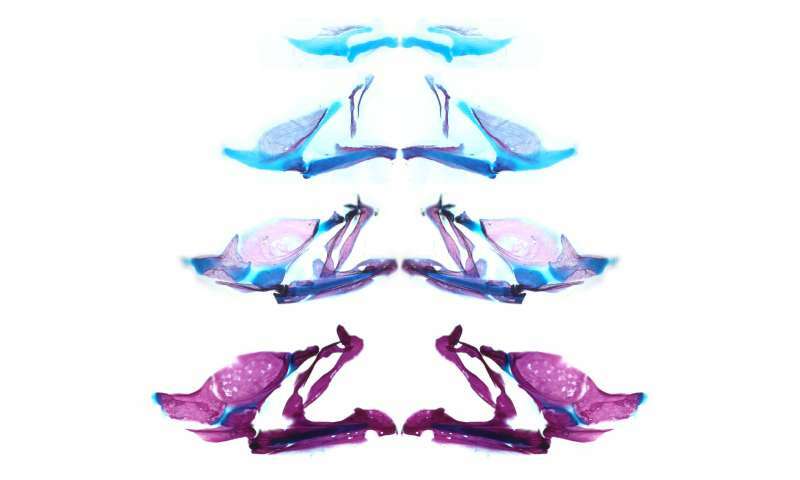 In the study published in Developmental Cell, first author Lindsey Barske and colleagues report that two related genes, called Nr2f2 and Nr2f5, pattern the jaw by regulating the timing by which stem cells generate skeletal cells. As in our bodies, the fish skeleton generally starts out as cartilage and is later replaced by bone. However, most upper jaw bones develop without any cartilage template. Nr2f genes prevent stem cells in the developing upper jaw from becoming cartilage early on, so that they are available to make more bone later. This is in contrast to the lower jaw, where another gene called Endothelin1 (Edn1) prevents Nr2f activity and allows for the formation of extensive early cartilage that drives the outgrowth of the lower jaw. "Our study illustrates the idea that the development of any organ requires a balance between early maturation and maintenance of stem cells. Without inhibitory signals like the Nr2f genes, there probably wouldn't be enough uncommitted precursors left over to make later-forming cell types or maintain adult tissues," said Barske, a postdoctoral fellow and winner of a prestigious Pathway to Independence Award from the National Institutes of Health. Prior to this work, little was known about the signals that pattern the upper jaw. The scientists took a novel genomics approach to identify new genes important for upper jaw development, carefully defining all the genes expressed during early jaw development. 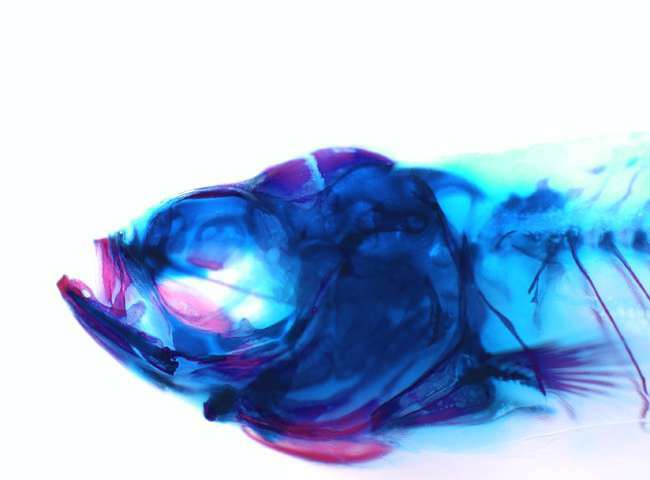 They then used a powerful type of genome editing to remove many of these genes from the genome, and in so doing discovered that zebrafish mutants lacking several Nr2f genes displayed a second, cartilage-based lower jaw where the upper jaw should be. 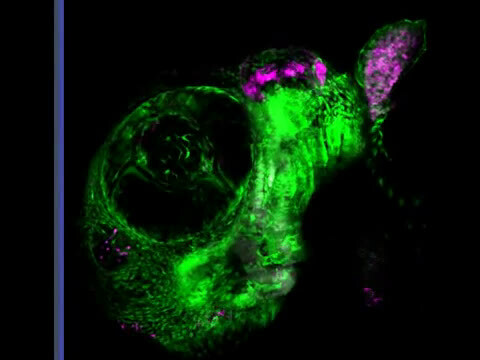 "The power of this approach is that hundreds of genes can be functionally tested in a cost-effective, rapid manner in zebrafish, thus allowing us to assign new functions for the many poorly characterized genes in the genome," said Crump, professor of stem cell biology and regenerative medicine at the Keck School of Medicine of USC.